There’s one thing that Barack Obama really loves above all others: Himself. The former president held a town hall in Germany on Saturday. He was expected to talk about community leadership and civic engagement, but he just couldn’t help tooting his own horn — over and over and over. “Obama talking about himself in an almost obsessive manner is no new phenomenon, but today he shattered his own records. Over the course of a 90 minute townhall with “emerging leaders,” Obama mentioned himself an eye-popping 392 times,” Grabien News reported. “When I left office, or maybe a few months before I left office, I had to make some decisions about what I would do after the end of my presidency and I knew that I wanted to catch up on my sleep — I had to take Michelle on vacation.” That’s seven “I’s” in a single sentence. In another sentence, he used “I” six times. “One of the challenges that I had when I was a young organizer was I wanted change now and I wanted 100 percent of what I wanted and then I suddenly confront some politician” who would disagree. Thomas Lifson, editor and publisher of American Thinker, delivered some thoughts after seeing Grabien’s stats. “The post-presidential era of his life seems to be a bit of a challenge to the ego of Barack Hussein Obama. Never shy about referring to himself while president, now that that man in the White House is reversing his policies and spectacularly succeeding, it’s got to be hard on his self-esteem. And let’s not forget the psychological pressure that may be building in the wake of the collapse of the Russia Hoax and the possible investigation of its origins,” he wrote. “So, what’s a comparatively young (age 57) man with decades of life ahead to do to compensate? Self-reflection and personal growth are out of the question, of course (this is Barack Obama, after all, the man who claimed to be better at everything than his aides charged with speech-writing, economic policy and much more), so it appears that defensive ego boosting is his chosen course,” Lifson said. Obama has loved on himself from the beginning. 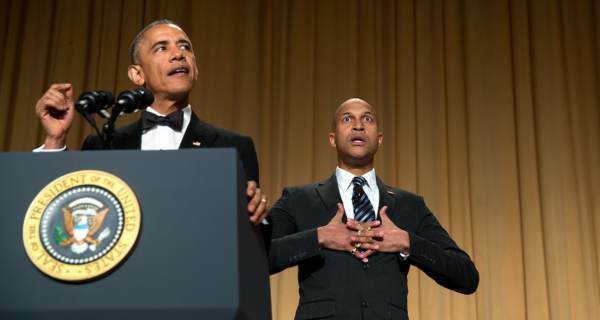 The Media Research Center reported in 2009 that “in just 41 speeches this year, Obama has talked about himself nearly 1,200 times – 1,198 to be exact. (That breaks down to 1,121 ‘I’s’ and just 77 ‘me’s.’) And that just includes 34 weekly addresses and his seven major speeches. Count the hundreds of other public speeches and he’d be off the charts,” the news site reported. Real Clear Politics reported in 2010 that he referred to himself 132 times in a single speech.